USADA announced today that Kenta Bell, 40, of Nashville, Tenn., a coach in the sport of track and field, has accepted a lifetime ban for engaging in and orchestrating prohibited doping conduct as the coach of the Thinking Feet Track Club (the Club). Bell committed a prior anti-doping rule violation in 2007 while competing as a track and field athlete. In addition to education and testing, robust anti-doping programs enable investigations stemming from tips (Play Clean Tip Line) and whistleblowers. USADA investigations can reveal participation by coaches, athletes, and support personnel who have instigated, facilitated, or encouraged doping. In 2016, USADA obtained evidence through interviews with numerous individuals, text messages, affidavits, and laboratory documentation, which revealed multiple violations by Bell between July 2015 and June 2016. Bell possessed, administered, and encouraged at least six athletes coached by him to use supplements containing multiple prohibited substances, including ostarine, methylstenbolone, and arimistane (Androsta-3,5-diene-7,17-dione). USADA further determined that Bell trafficked methylstenbolone to at least one athlete member of the Club. Ostarine and methylstenbolone are non-Specified Substances in the class of Anabolic Agents, while arimistane is a Specified Substance in the class of Hormone and Metabolic Modulators. These substances are prohibited at all times under the USADA Protocol for Olympic and Paralympic Movement Testing, the United States Olympic Committee National Anti-Doping Policies, and the International Association of Athletics Federations Anti-Doping Rules, all of which have adopted the World Anti-Doping Code (the Code) and the World Anti-Doping Agency Prohibited List. 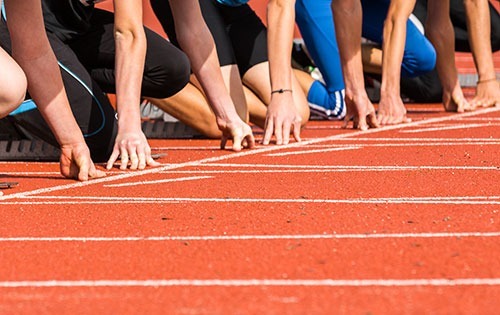 Trafficking and administration of performance-enhancing substances are prohibited under Articles 2.7 and 2.8 of the Code. USADA also determined that Bell committed tampering and complicity violations, under Articles 2.5 and 2.9 of the Code, by attempting to cover up an athlete’s positive test and providing false information to USADA during its investigation. To date, Bell is the eighth individual affiliated with the Thinking Feet Track Club to accept a sanction. Bell’s lifetime period of ineligibility began on September 25, 2017, the date he accepted a provisional suspension. There are currently 15 athlete support personnel serving a period of ineligibility from USADA, including seven serving lifetime bans.